Almost two years ago, during the same contentious meeting in which Pluto was demoted from a full-fledged planet to a “dwarf planet,” a few other votes were taken, but mostly forgotten. One of the forgotten votes that was actually approved was that Pluto was to be declared the” prototype of a new class of objects”. OK. Done. What exactly that means is a bit hard to say. As far as I could tell it was an attempt to be nice to Pluto after the indignity of its demotion. Who would vote “no” to that? The next vote that was taken was about what to call this new class of objects. The proposal, if I remember correctly, was to call them “Plutonian objects.” The proposal was voted down by a very small margin. Why, again? Hard to say. People were in funny moods. The class of objects, then, remained unnamed, with a promise – a threat – that a committee would come up with something and there would then be no vote. The committee has spoken! After the close vote on “Plutonian objects”, the committee deliberated for almost two years and settled on “Plutoids” and now it is settled. A “Plutoid” is a dwarf planet (meaning it must be large enough to be round) that is beyond Neptune. But wait! There’s more! The committee did more than promised! They added one more twist to the rule. While originally all dwarf planets beyond Neptune were to be part of this new category, the committee decided to restrict the definition to the brightest of the dwarf planets. For now the only ones that count are Pluto itself, as well as three of my babies: Eris, 2005 FY9, and 2003 EL61. I have been asked: will there be controversy? Will there be bickering? Will people fight and contend? I suspect the answer is, in fact, that there will mostly be nothing. The class of objects was supposed to get a name, now it has a name. The name seems pretty non-controversial, if also a bit clunky. The one thing that almost no one will even notice is the part that I find the most odd, though, which is the restriction that the object be a particular brightness. Not a particular size: a particular brightness. That makes for some funny situations. If you take Pluto and cover it with dirt it would no longer be a Plutoid. Or take something much smaller and cover it was snow instead of rocks and it might be a Plutoid. Or, may favorite example, if you take Eris, which is currently the intrinsically brightest object, bring it closer to the sun (where it will be in 290 years), melt some of the ice on the surface, and exposure some of the darker substrate, it might just get dark enough to no longer be a Plutoid. Now you see it; now you don’t. But, OK, it’s a definition. And I can at least understand the committee’s feeling that they wanted to put a concrete brightness limit instead of a harder to determine roundness limit. There is still a small but extremely vocal group of astronomers who remain incensed about Pluto’s demotion. They will use this as a soapbox to repeat their initial complaints about Pluto. Other astronomers are likely to yawn. Plutoids? Sure, why not. Most astronomers have moved well beyond the Pluto-debate and the semantics associated with it. If Pluto is happy being a Plutoid then it is probably OK with the rest of us. Mike, am I right in surmising that the only practical outcome of this decision is that--at least per the fine print in the IAU Press Release--there's now an officially-delimited naming authority for 2003 EL61 and 2005 FY9? Ought this to break the bureaucratic logjam you alluded to earlier that was keeping them wearing numberplates rather than getting more cuddly names? 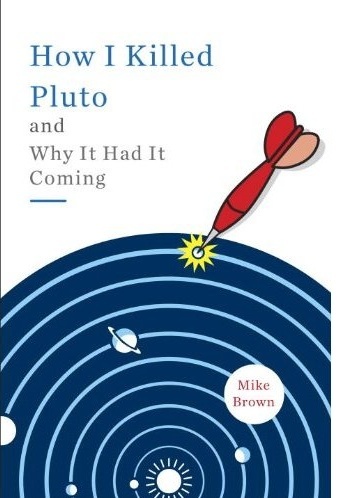 No, Mike, even Pluto with lots of dirt would still remain a dwarf planet and plutoid: The rule for new discoveries brighter than H=+1.0 to be dealt with in a special manner has only to do with the naming procedure as Ted Bowell explained to me today. The dwarf planet/plutoid classification of new discoveries is now a preliminary one: You get a plutoid-style name when you're bright enough but the jury is still out on whether you also fulfill the key dwarf planet criterion on hydrostatic equilibrium - thus the plutoid status could be taken away from you any time in the future. Isn't there a well-established trend that albedo goes up with size in the Kuiper Belt? This finding is probably the justification for the H=+1 cut off as no reasonable Kuiperoid can be expected to be large and round enough for plutoid-dom that is fainter. The new IAU strategy seems to be the only way to finally get things going and give real names to EL61 and FY9. So, if the Moon is made of green cheese, does that mean that Plutoids are made of curiously frozen peppermint? "Plutoid"? Well there's a missed opportunity. They could have come within one vowel of making it a planet again by going with "Plunet." Oh well. The first announcements in the press sounded as if a new celestial body would first have to be a dwarf planet before it can be nominated to be a plutoid. But according to your words it is the other way round: new discoveries with sufficient absolute magnitude will first officially become "plutoids", and eventually later (after the "roundness check") dwarf planets as well ? Doing so new discoveries could quickly get a (plutoid) name, and later eventually become promoted to "dwarf planet" and then be renamed with a dwarf planet name ? Yes, as a general rule large KBOs have higher albedos. But the binary KBO 58534 Logos is only 80km in diameter and has an albedo of ~0.4 that varies significantly. Yes, it is much easier to know the absolute magnitude (Plutoid) of an object than to *reliably* estimate the volume/mass/density to determine if the object is in hydrostatic equilibrium (dwarf planet). Another good demonstration of this concept is that the planet Mercury and 2005 FY9 have the same absolute magnitude (H) of -0.4. If Mercury were to be placed where 2005 FY9 is, Mercury would have the same apparent magnitude as 2005 FY9. Mercury would have a larger angular diameter with a lower albedo, resulting in the same amount of light being reflected. No, the naming process of a newly found Kuiperoid - I'm not into its arcane details; Mike could certainly write many a post about it :-) - can only go two ways and will do so only once, for good. If it's brighter, though, the plutoid procedure outlined in the Press Release kicks in, with two committees and protracted debates involved. The reason is that dwarf planets are considered as something of special cultural importance (just like the eight 'real' planets), so their names should be of a similar standing as those of the classical planets. The group of both astronomers and lay people who oppose Pluto's demotion are NOT a "small but extremely vocal group" as Fischer claims. Ninety-six percent of the IAU never voted on the initial proposal because no absentee voting was allowed. An almost equal number of professional astronomers signed a petition within day decrying the new definition as "sloppy" and saying they will never use it. Most who voted are not even planetary scientists but other types of astronomers. Fischer is attempting to discredit a sound, respected opinion in astronomy, which is that planets are simply non-self-luminous spheroidal objects orbiting stars. The ideal is to keep the definition of planet broad while adding subcategories such as terrestrial planets, gas giants, ice giants, and dwarf planets. The latter would apply to objects in hydrostatic equilibrium that do not dominate their orbits. These objects have geophysical processes that make them fundamentally different from asteroids. We will very likely discover the extent to which Pluto is similar to the other eight planets when New Horizons gets there in 2015. 8 planets, 1 dwarf planet not being a plutoid, 4 plutoids of which 2 are recognized also as dwarf planets (plus in future a few more dwarf planets not being plutoids) ??? - is this still understandable for the public ? There are 8 major planets, 3 dwarf planets, and two unofficial dwarf planets (briefly skipping the Plutoid term and any list of dwarf planet candidates). I also don't tell the general public that there are roughly 18 spherical moons in near hydrostatic equilibrium and 160 moons not big enough to care about. I do mention that there are 7 moons that are larger than 'dwarf planet' Pluto. If they ask about Plutoids, I will tell them that Plutoids are a category of bright objects that are likely to be dwarf planets. I will also tell them that we have discovered over 20 other objects they may some day qualify as dwarf planets. But still I think that IAU would do a good job simplifying their strange definitions. How would you like the following one: by defining a minimum absolute magnitude, a minimum middle diameter, and a minimum mass, to say "Every compact object in an orbit around the sun that surpasses at least one of the three thresholds is considered a dwarf planet" ("compact object" as opposed to a comet tail). For the status of an object the highest brightness of that object could be accepted, even if it is valid only during some part of its orbit. So after the discovery of a new object, as soon as its H is above the threshold, the status as "dwarf planet" could be pronounced and a name could be given to it. I personally never understood why the round shape of an object should have something to do with its (dwarf) planetary status. For me any "big" object wandering around in the solar neighborhood (= original meaning of "planet") IS a planet to me no matter whether it is round or a cube or something else. The form is a part of its physical properties and should nothing have to do with its "planetary status" resp. "dwarf-planetary status" as such. Well, now I came to understand that IAU defined "plutoid" merely as a subcategory of dwarf planets which will have also "preliminary" members waiting for approval as dwarf planets or for disapproval - in this case loosing their plutoid status again even if brighter than H=1. This makes sense to me, because like this "plutoids" are not established as a self-contained category of their own, and names can be given swiftly to newly discovered objects. By the way, in http://www.duensser.com/astro_top_en.htm you can find now out how plutoid is said in many languages. Since dwarf planets and plutoids are basically the same thing, I was hoping that there would be two lists: a list of "fully approved" dwarf planets (Ceres falls into this cat) and a list of "preliminary plutoids". Then at least the term plutoid would have a practical use that even the general public would understand. Your "one of the three thresholds is considered a dwarf planet" (absmag, min mid-diameter, min mass) concept is not bad. It seems like that would be easier to handle than figuring out the hydrostatic equilibrium (mass) of a 400 to 700km object with no moons. It would be like having a three strike rule. I have read the press release from the IAU and a number of reports from places like the New Yok Times, BBC and Space.com and none of them seem to explain the real objective behind the coining of this new term. Does anybody know WHY it is important to make a distinction between dwarf planets with higher albedos to lower ones? Are they afraid we are going to run out of names or something? This whole "plutoid" thing seems really subjective if you ask me. It is a bit torturesome to watch these "liscence plate numbers" sit around without any names. Can we please stop beating around the bush and name them? Does anyone know how the steps in the naming procedure work? Five years (2003 EL61) is a long time for these guys to sit around nameless. An object with a high albedo (say 0.80) is less likely to turn out to be a lot smaller than expected. When Pluto was discovered astronomers were looking for an object massive enough to perturb Neptune and Uranus, and they assumed that it may have a common asteroid albedo of 0.04, and thus a diameter of roughly 9000km. In 1976 they calculated Pluto's albedo at ~0.5 (methane ice) and realized it was quite small. I still do not feel content with the definition for dwarf planets (including plutoids), because of this "roundness thing" in it. If two dwarf planets bump together and form something like an "irregular egg", it is an even more massive object than before, but it has to be stripped from "dwarf planet" status to just being a TNO, because of its shape ?? Sometimes nature needs some time until this obscure "equilibrium" is reached, and even then - where is the definition of the "roundness threshold" resp. "equilibrium threshold" ? 1. some people think that a newly discovered TNO with H > 1 is only "for naming purpose" considered to be a plutoid, but does not really have plutoid status until it is verified that it fulfils also the dwarf planet conditions. 2. some people think that a newly discovered TNO with H > 1 gets the official status of a plutoid right away, but looses this status later by being "reclassified" when further investigations (highly improbably) prove that the object does not fulfil the dwarf planet conditions. In other words, how "official" is the plutoid status of a "preliminary plutoid" ? Of course it is "H < 1" instead of "H > 1". Sorry about the mistyping. Both. Any object with H<1 (brighter than absolute magnitude 1) will be named and probably classified as a plutoid, but could be reclassified later if new findings warrant it. This will speed up the dwarf planet process for large bodies when they are found. Other than being a moon of Pluto, Charon is PHYSICALLY the perfect definition of what a plutoid will be like. It has an absolute magnitude of +1, an albedo of 0.4, and is known to be 1200km in diameter. Charon is a good baseline for what astronomers should be hoping to find. 2. I do not understand your answer "both". Do you think that IAU will classify officially any TNO (with H < 1) as "plutoid" and consequently at the same time also as "dwarf planet", without verifying before its hydrostatic equilibrium ? The size of Pluto is accurately known, based on occultation measurements. The albedo is inferred from measurements of the size and the apparent brightness. The albedo is wavelength dependent (at what wavelength is the albedo 0.6 or 0.7?) and albedo is also angle-dependent. Going from a magnitude to an albedo, even if you know the size accurately, is not as simple as one might think. Creating the term "plutoid" to describe every dwarf planet except one (Ceres) is ridiculous. Instead, we should take advantage of the word's similarity to asteroid and use it to describe all planetoids beyond the orbit of Neptune - the bodies currently described by an alphabet soup: TNO, KBO, etc. That's at least a useful distinction.